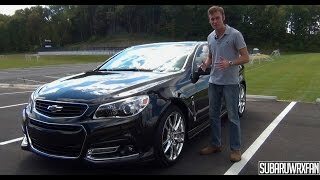 The 2014 Chevrolet SS debuted at the Daytona International Speedway. 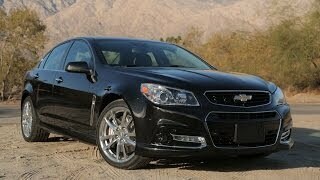 The Chevrolet SS is powered by the LS3 Chevrolet V-8, expected to deliver 415 horsepower and 415 lb-ft of torque. 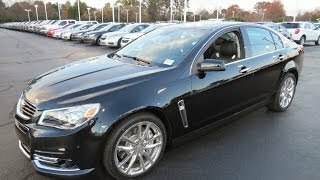 Also used in the 2013 Chevrolet Corvette, the LS3 displaces 6.2 liters, more than the 5.5-liter V-8 powering the Chevrolet SS NASCAR competitors. 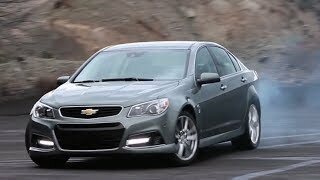 The Chevrolet SS accelerates from 0 to 60 mph in about five seconds – making it one of the quickest sedans on the market.